Whenever you need a removal company you can rely on in Whitechapel, call Moving Service. Our range of removal services is impressive and offers the perfect way to handle any move you want to undertake in the area. This can include everything from man and van options to regular van hire. It’s all a part of our comprehensive services. From moving the contents of the biggest house to relocating the smallest flat, we guarantee a professional touch you will love. Reserve your appointment today to avoid disappointment and get your preferred date; all you have to do is call our offices. We are open seven days a week, so we’ll always be ready to support you. To take the first step towards your house move, call 020 8746 4402 now. A historically famous part of London, Whitechapel is now a busy, active and trendy part of East London. Located in the Borough of Tower Hamlets, it is known for its close proximity to places such as Whitechapel Road and Brick Lane. Local attractions include the renowned Whitechapel Art Gallery located on the high street and the East London Mosque, one of the biggest mosques in the city. In terms of transport, not only does the district have its own tube station with access to the Overground and District lines, but it is only a short walk away from Aldgate and Aldgate East. Buses running to Mile End, Shadwell, and Spitalfields mean the rest of London is easily accessible at almost every hour of the day. Do You Need Reliable Moving Services in Whitechapel? We have spent a huge amount of time on developing our award winning house moving services. We know that not every move to E1 is the same, so we can put together a package suited to your needs. From same day services to our best-in-industry equipment, we have everything you need. If you’ve been let down by another company, we can even offer emergency options at short notice. All our moving vans are well equipped and maintained, so you’ll never have to worry. With our team, you can even hire packing services to save time and ensure everything is packed correctly. We want to make your property relocation easy and stress free, so why not call us today on 020 8746 4402 and get a free estimate from the best company in the area? Our team have the best training possible. When you’re worried about removals to E1 region and how to handle everything, no other company will be able to bring a similar level of experience to your move. We can deal with any situation and task, from the biggest to the smallest, because we’ve been properly trained. If your boxes and furniture need expert treatment, then we are the company to hire. Our movers pride themselves on their abilities, as well as on their awareness of all the latest removal techniques. The tips and tricks we have to offer can make any move fly by. If you want to relax while we do the heavy lifting, just let our experts handle everything on your behalf. Do You Want To Save Money on Your Moving to E1? 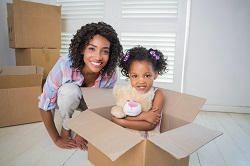 Don’t worry about the cost of a house move with Moving Service. You can trust our team to put together a cost-effective package that you’ll love. We want to show people in Whitechapel, E1 just how cheap professional removal services can be. So when house moving becomes too overwhelming for you, you know you can just pick up the phone and ring our team. We’ll offer a free quote with no obligation to buy. As we’re available seven days a week, it could not be easier to book us for your preferred time. See how much money you can save today. If you’d like to combine the best removal services, the best customer services, and the best prices, just call 020 8746 4402. Act now and discover what we can do for you.